After serving as an instructor at the University of Arkansas, completing a tour of duty with the U.S. Naval Air Force during World War II, and spending two years at the University of Minnesota, Dr. Oxford went to the OU, where he earned his PhD in chemical engineering. Before finishing his degree, Oxford joined the faculty at the UA, where he was promoted to Professor in 1957. Oxford left the department to serve in various administrative roles in the university system, including Associate Dean of Engineering, Administrative Vice President of the University, and Vice President for Academic Affairs. Twice during his career, Oxford served as Acting President of the University. 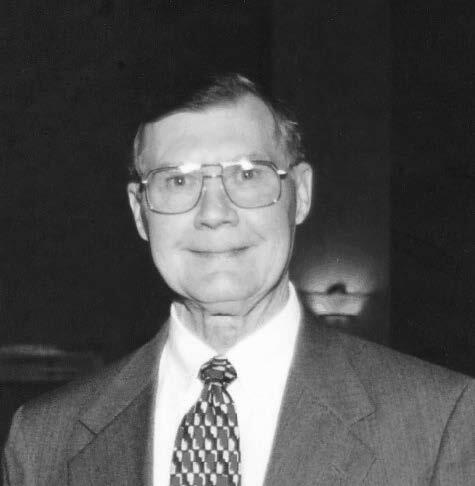 Oxford was a member of the Fayetteville School Board from 1965-78. His other affiliations included the Fayetteville Lions Club and a member of the board of directors and the foundation board for Life Styles, a non-profit organization. In addition to his extensive career in academia, Oxford held positions with Esso, Union Carbide, and Boeing. UALR Honorary Doctor of Science, 1989. UA Honorary Doctor of Laws, 1992. The Oxford Lecture Series was established in his honor in 1982. The Charles W. Oxford Professorship in Emerging Technologies was recently established in his honor. Dr. Oxford passed away August 16, 2005. He will be missed.